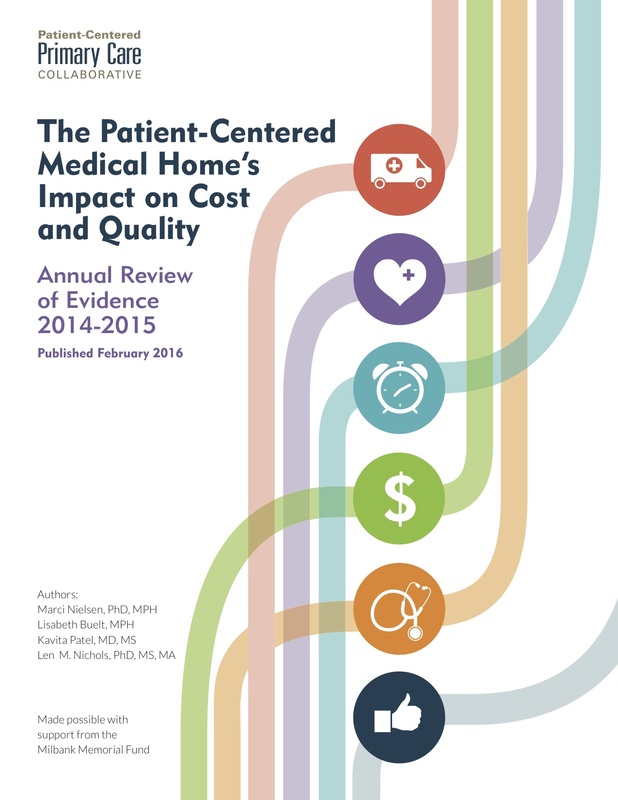 On Feb. 2, 2016, the PCPCC released its new medical home evidence report, "The Patient-Centered Medical Home's Impact on Cost and Quality: Annual Review of Evidence 2014-2015." As in previous editions, this year's report summarizes PCMH cost and utilization results from peer-reviewed studies, state government evaluations, and industry reports published within the past year. New this year, the report also includes early federal program evaluations published between October 2014 and November 2015. During this webinar, PCPCC Chief Executive Officer Marci Nielsen, PhD, MPH, will provide an overview of the new report and its highlights, as well as comments about how the evidence ties to the latest health care payment reform efforts. Register today! This event is free to the public, but advanced registration is required. Thank you to our generous partner, the Milbank Memorial Fund, without whom this publication would not be possible.